BOLT = Black Old Lesbians Traveling Our mission is to inspire fearless, serendipitous and penniless travel. 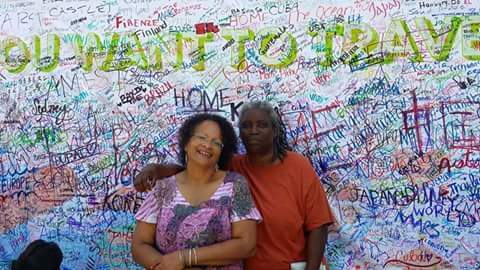 We are Kathy and Marci Halili Akoma, two retired African-Americans. Join us as we share our travels with you. We hope to hear about yours. Contact us at boltraveling@gmail.com. Like us on www.facebook.com/pages/bolt. Follow us @boltraveling THE WORLD IS OURS...SEE YOU THERE! We were recently honored to take part in a Buddhist ceremony at Inthakin Green Village. After days of preparation by the Inthakin family, a group of monks came to bless the land and all of the Inthakin staff and family. I hope you enjoy these pictures of this very special day.